Doody's : "This is an excellent and most complete guide for the broad range of physicians dealing with patients with epilepsy and psychiatric disorders. It gives neurologists and psychiatrists working in practice settings tools essential for correct diagnosis and treatment. 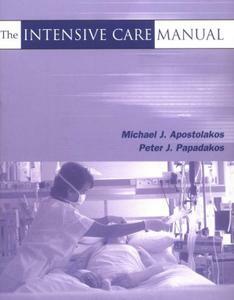 The book also provides outstanding teaching material for academic neurologists and residents." *Offers concrete procedures for the diagnosis and treatment of the critically ill. *Highly practical reference providing quick access to didactic and perspective information.